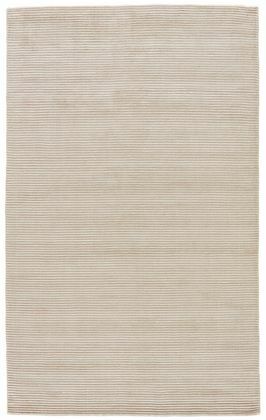 Jaipur Living Rugs BI01 - Basis Collection - Swatches may be available. 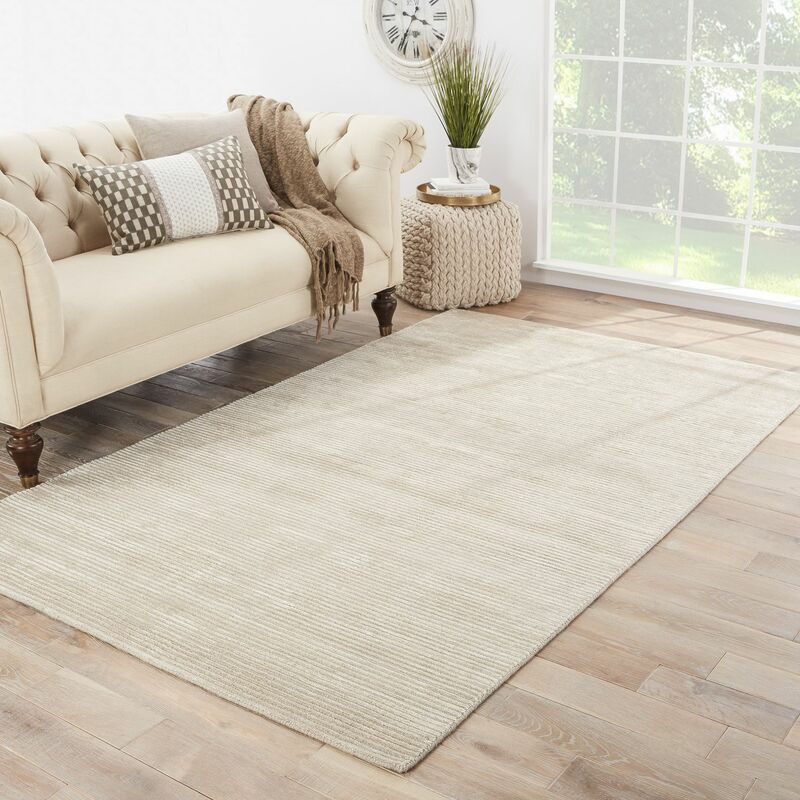 This sleek hand-loomed area rug boasts a lustrous off-white and taupe colorway with texture-rich stripes creating a ridged high-low feel. 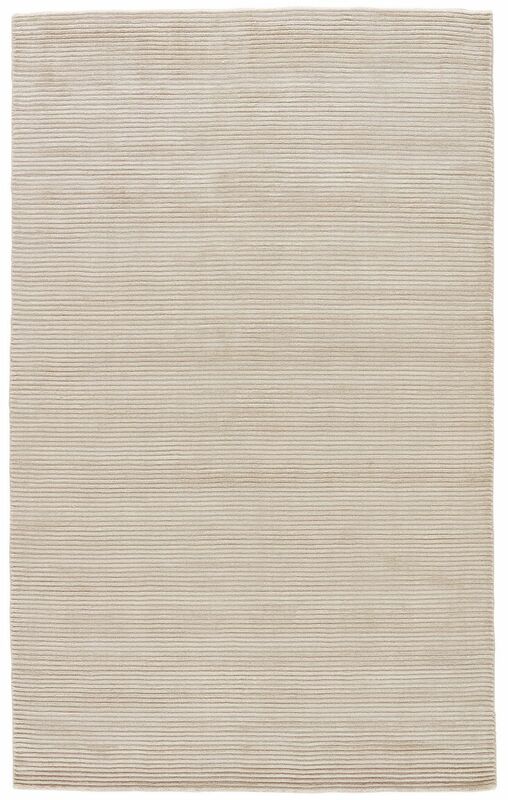 In a soft combination of wool and viscose, this neutral accent lends versatile style to modern homes. 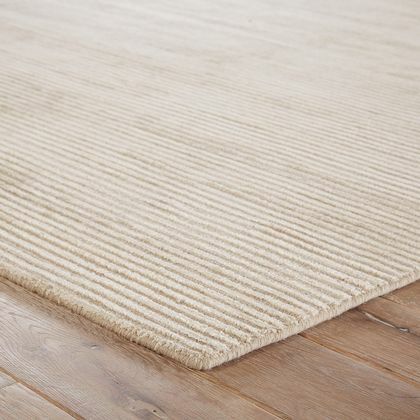 Hand-Made Quality: hand loomed by artisans in India for notable durability and quality. Made of 50% viscose and 50% wool for shimmering durability Textured Pile: the cut and loop pile creates a soft, ridged feel and luxurious style. Care and Cleaning: vacuum regularly without beater bar; professionally clean only. Rug pad is recommended: prevent bunching and slipping with an ultra hold rug pad.